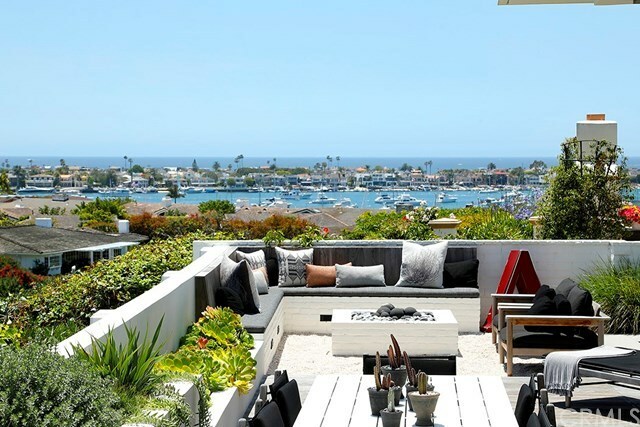 Conceptualized for a top associate of Graystone Custom Builders, this 4-bedroom Irvine Terrace marvel delivers enviable exteriors and pristine interior spaces among the most privileged views of the harbor. The formal entryway leads course to the great room - naturally drawing presence with walls of glass and an open position. Adjacent to the formal dining room, a most sophisticated kitchen supplies a 72-inch SubZero fridge, massive island with leathered black granite and prepping sink, 8-burner range with dual oven in addition to the wall oven, and a walk-in pantry with wine fridge, Miele coffee maker, and display cabinet. Boasting water views, the master retreat is equipped with a fireplace and an elite master bath - with separate spa and shower, wood and marble flooring, two marble vanities and an organized walk-in closet with central dresser and cupboards. Given that the esteemed community allows for only single level homes, the renowned architect â Craig Hampton - brilliantly designed a lower level by way of excavation, adding in a private office, a full bar with wine cellar, a game room, and an additional guest bedroom with built-in double bunk beds. Perfectly positioned to take advantage of the Harbor views, the backyard provides an inground spa, built-in BBQ with sprawling counters, sundeck and firepit with built-in benches. One of the most deluxe products on the market, paired with a team of affluent builders â live the life of luxury w/proximity to renown amenities.